Our fleet of trucks is constantly being renewed; this ensures our clients and drivers have the best equipment available to meet the high demands and deadlines of our business. 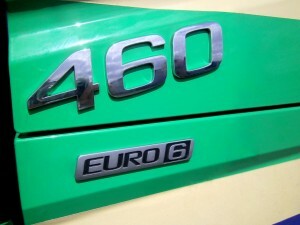 In an effort to minimize our CO2 emissions we are have updated our entire fleet to Euro 6 engines. These trucks will give the lowest NOx emissions helping us reduce our impact on the environment. These engines exceed European requirements, enabling us to meet new exclusion zone regulations. Each truck has an independent air conditioning unit. These run on a trickle charge from the battery. They provide a comfortable environment for our drivers whilst cutting out the necessity to have the truck engine idling, thereby further reducing carbon emissions. Our trailers are all tri-axle on air-suspension with raise/ lower valves for ease of loading and offloading. They are also fitted with an aluminium honeycomb load lock system, removing the necessity for load lock strips on each wall, making them the widest trailers available in Europe. The load restraint bars and straps are inserted directly into the system wherever required. 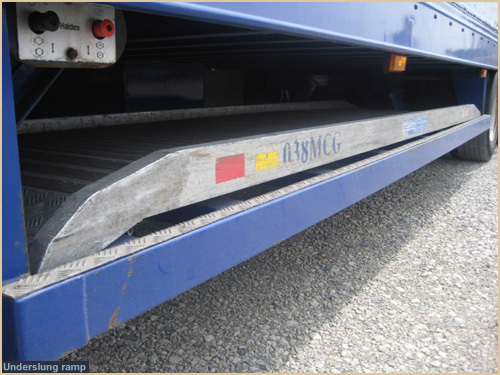 Loading ramps are carried in under- slung ramp carriers, saving precious load space. 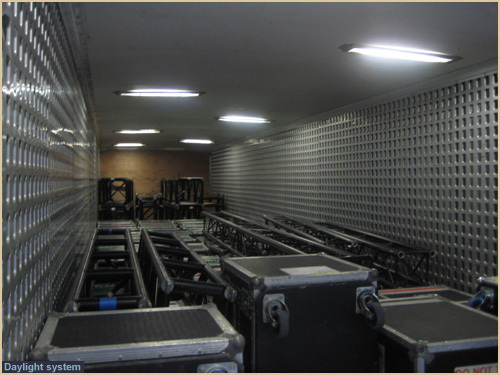 All of our trailers are fitted with a unique "daylight" lighting system. This makes night time loading a much safer task. We have decided not to utilize bio fuels because of their potential drawbacks. The best way forward for us at the moment is with SCR Technology for reduced carbon emissions.